And it´s (finally) here! 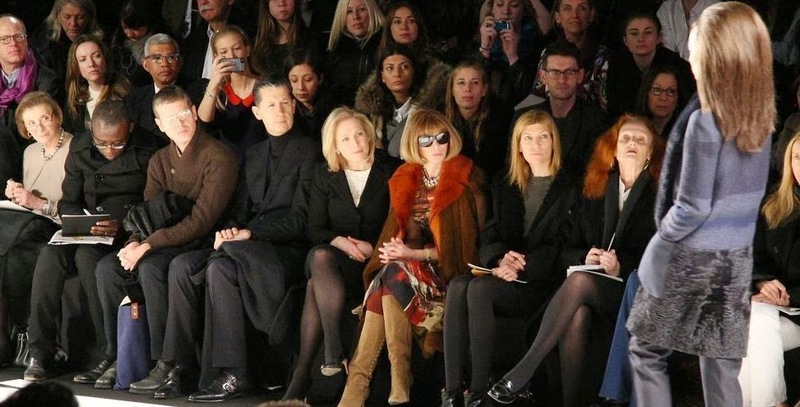 Fashion week in NY was officially launched on February 6. But not only NYFW has started, but basically the entire month of fashion, which ends in the first week of March in Paris. We can say that a month full of the newest trends and inspiration for the fall/winter 2014-2015 season is ahead. Over the next few weeks we will try to inform you about the news from NY, London, Milan and Paris. For each of these cities there will be an album on our FB account, where you will find chosen models from the best designers. Simply "The Best of" ... And on the blog we are going to publish a small summary of what that particular fashion week brought. For the fans of "street style" and so called "front row" we will also bring the most interesting stuff from the streets and fashion shows. So if you want to be really informed, do not forget to follow the blog, Instagram and our FB page! A je to (konečne) tu! 6. februára sa oficiálne začal týždeň módy v NY. No neodštartoval sa tým len NYFW, ale v podstate celý mesiac módy, ktorý vyvrcholí prvý marcový týždeň v Paríži. Dalo by sa teda povedať, že je pred nami mesiac plný tých najnovších trendov a inšpirácií na obdobie: jeseň/zima 2014-2015. Počas nasledujúcich týždňov vám budeme prinášať novinky z NY, Londýna, Milána a Paríža. Pre každé jednom mesto bude na FB založený album, v ktorom nájdete vybrané modely od tých najlepších dizajnérov. Jednoducho "The Best of"... No a na blogu zase budeme uverejňovať malé zhrnutie toho, čo daný fashion week priniesol. Fanúšikom "street stylu" a tzv. "front row" budeme tiež prinášať to najzaujímavejšie z ulíc a samotných show. Takže ak chcete mať skutočne prehľad a byť v obraze, nezabúdajte sledovať blog, instagram a našu FB stránku!